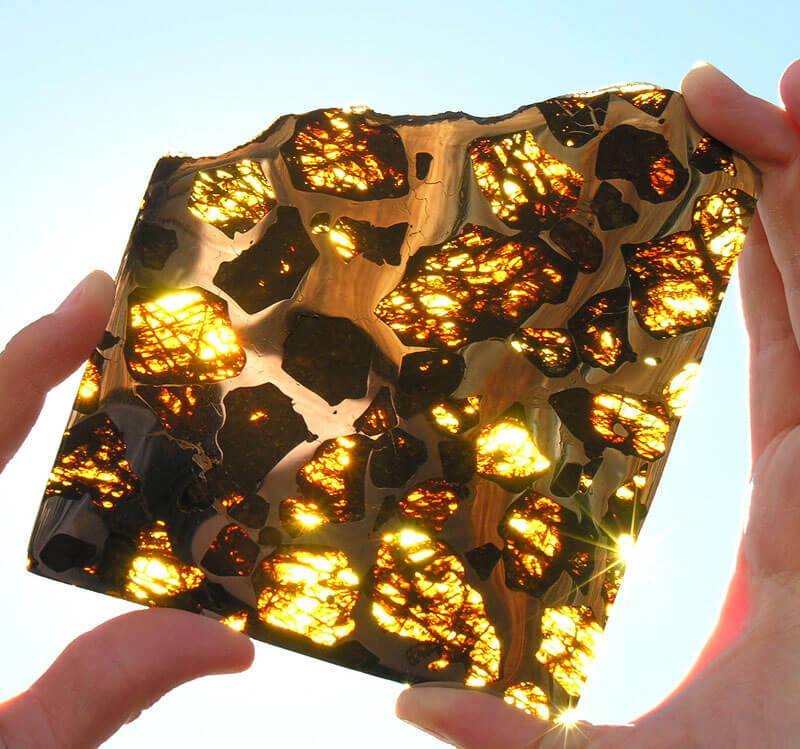 The Fukang pallasite is believed to originate from deep inside intact meteors created during the formation of the solar system about 4.5 billion years ago and very few specimens are thought to have survived their descent throug Earth’s atmosphere. An anonymous group of collectors currently holds the largest portion which weighs 419.5 kg (925 pounds). In 2008 they attempted to sell it at auction at Bonham’s in New York for approximately $2 million but did not receive any biddhers. A total of 31 kilograms (68 lb) of the specimen is on deposit at University of Arizona’s Southwest Meteorite Laboratory.